Need some scary games to celebrate Halloween with? Xbox Game Pass delivers. Halloween is right around the corner, and that means there are plenty of ways to celebrate the season in terms of gaming. Microsoft is making it even easier to get into the Halloween spirit with its 2Spooky for Halloween event with the Xbox Game Pass. They're "creepin' it real" with the addition of four new games to the Xbox Game Pass catalog starting today. 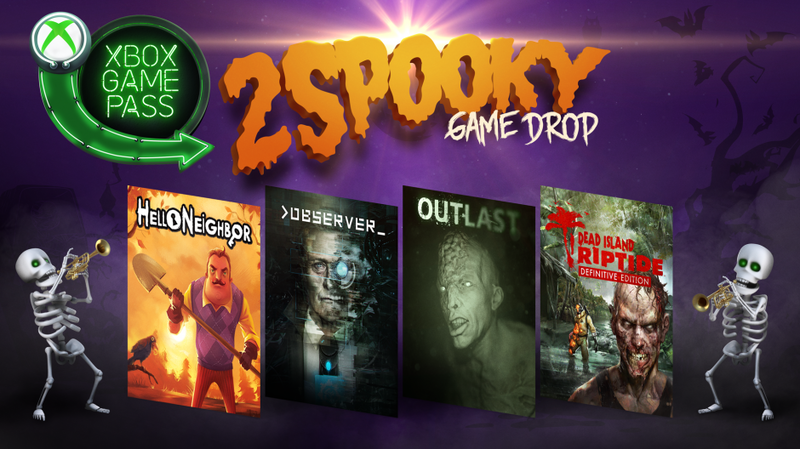 You can now nab Dead Island: Riptide DE, Outlast, Observer, and Hello Neighbor for free via the Xbox Game Pass as part of the latest promotion. These spookier games will ensure plenty of chills and thrills as you head to the Banoi Archipelago in Dead Island Riptide Definitive Edition and fight against the shambling zombie hordes, escape Mount Massive Asylum in Outlast, keep out of the clutches of your possibly insane neighbor in Hello Neighbor, and live out a terrifying technological nightmare in Observer. If these don't strike your fancy, which they should since Observer on its own is such an awesome and creepy experience, there are plenty of other horror-themed titles up for grabs too, including Dead Rising 3, Graveyard Keeper, Sinner, and Dead Island DE. There are over 100 games in the Xbox Game Pass collection right now, if you're interested in trying it out. You can join now for $10 with a 3-month membership, which is $20 off the regular price. Get out there and get spoopy!